It is a full body motorcycle armor which looks like an armor of a ninja warrior, and is ready to take an action for a new mission. The TMS full body armor provides protection of the rider’s back, chest, shoulders, and arms. This is a good choice for a long way ride from urban or rural areas because it gives protection against heat of the sun, cold wind and rainy season. 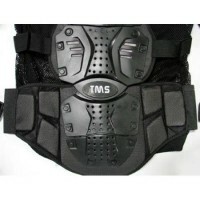 It is known to be a body shield on sports like motocross and racing, also for outdoor adventures and tours. 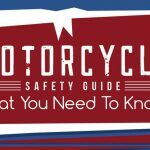 It can be a great partner in any types of motorcycle. Pros: The design of the armor is fantastic. It is made of light-weight materials but stronger, stretchable Lycra/mesh net fabric and high impact injection molded plastic that provides more comfort. Also it has adjustable straps to perfectly fit the armor to the wearer. Cons: It takes time in wearing on and off the armor. For the long way ride in wearing it, it makes you sweaty but the armor is washable to remove bad odor. 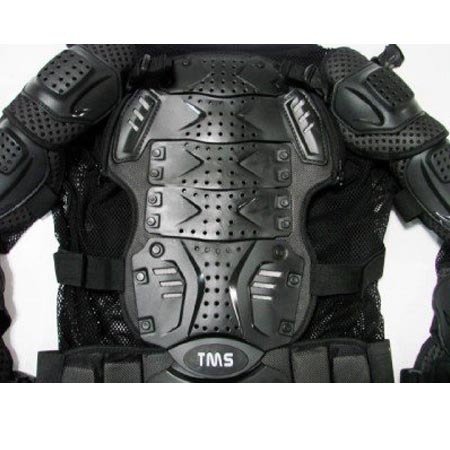 The TMS full body Motorcycle Armor gives protection in upper body parts of the rider. It gives protection from the back, chest, abdomen, shoulders, elbows and arms. It is now popular in the street and in the market. 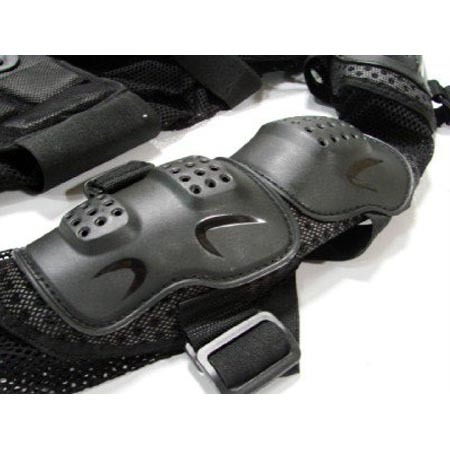 It designed to be lightweight and stronger to assure safety; and adjustable to make it perfectly fit to the wearer. 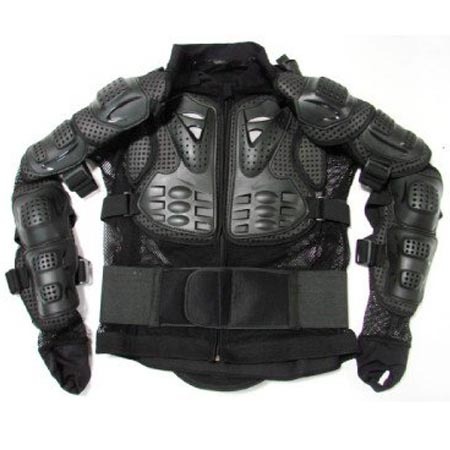 The full body armor is available in all sizes from S to XXL, the color were matched to be dark gray or grayish black that suited for any kinds and types of motorcycle. 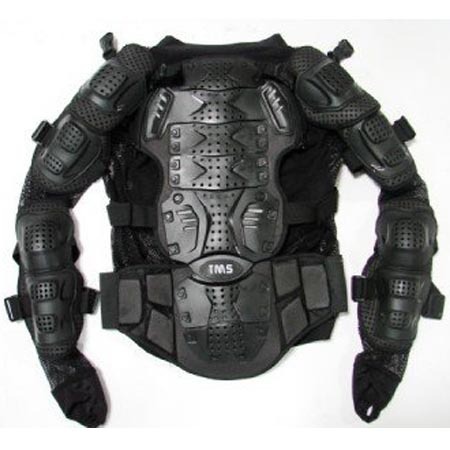 A fantastic full body armor that has back protector, shoulder cups, elbow cups, forearm protector, and chest foam were all attached to a mesh shirt thing. 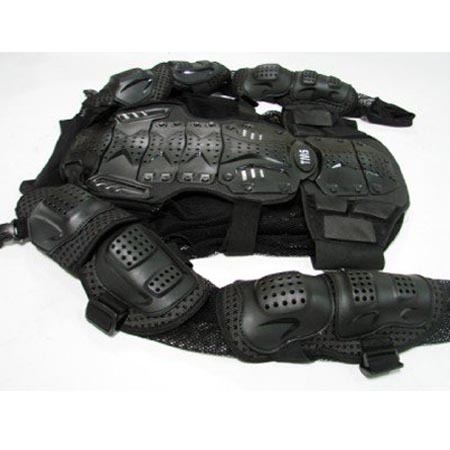 The armor was made of light weight, stronger, durable and stretchable Lycra/mesh net fabric and high impact injection molded plastic. Full zipper front closure. Adjustable straps throughout the arms and shoulders. Removable spine armor with tail protector. Wide elastic waist belt with Velcro adjustment. 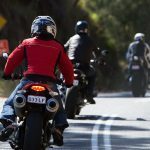 The first rule in motorcycling is safety driving, so wearing protective gear is the most important. 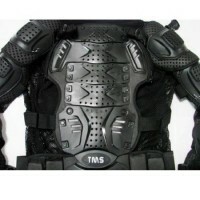 The TMS full body Motorcycle Armor main function is to give protection to the upper part of the rider’s body, the arms were also included. 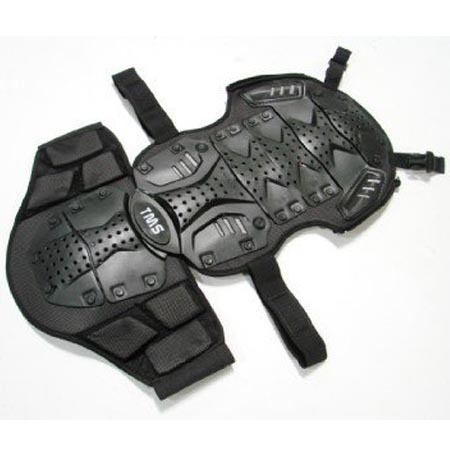 With this armor protection it lowers the risk in getting severe injuries such as broken bones on arms, shoulders, chest and back part of the body. The armor were built with lightweight, stronger plastic and stretchable fiber material that gives more comfortable and fit to the rider. 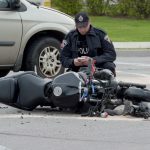 Wearing this is totally a life saver, many consumers that has been experienced accidents has been saved by wearing it.